Skull Valley, UT— Just the name portrays a Valley-of-the-Damned-image: desolate, remote. It is mostly accurate. Skull Valley is home to Dugway Proving Grounds, where biological and chemical weapons are tested for “mostly training purposes,” according to the military residents there. For most of Utah’s short history, a place beyond the Stansbury Range in Tooele County that has been neglected by developers, enjoyed by rednecks and nuclear waste proponents alike, Skull Valley has stood on its own, silent and largely unknown; however, there is much more to this place than meets the eye. 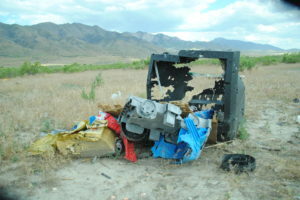 Littering the valley are discarded TVs, phone books and toys blasted to smithereens. Hundreds of red, yellow and blue shotgun shells lay scattered on the ground. 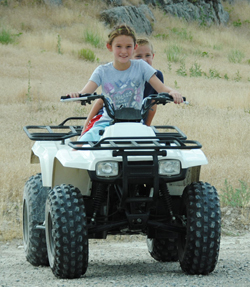 OHV trails circumscribe the mountains where a small boy and girl are enjoying the fun on their mini-bike and mini four-wheelers. “Have you ever heard of Iosepa?” I ask the family who are there riding OHVs with their children. A tall, strong lady with a nice complexion tells me her grandfather was one of the last residents of Iosepa and her uncle is responsible for maintaining the property. She is one-quarter Hawaiian. “His name is Cory Hoopiiaina,” she informs me. “Do you want me to give him call?” She does, and he agrees to talk to me. In the meantime, we continue traveling down the road to and arrive at Iosepa. The town is gone. The only obvious evidence of the former inhabitants lie in its graveyard in which there are hundreds of plots. East of the graveyard are historic markers and a new pavilion. I’m told an annual celebration is held here every Memorial Day when hundreds of Pacific Islanders come to enjoy a luau and remember their ancestors. 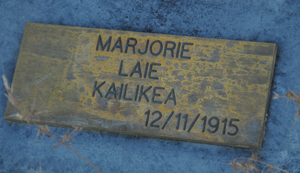 Hundreds of grave sites remain in Iosepa. These sites have been well preserved thanks to the Hoopiiaina family and their dedication to safeguarding the memories and history of Iosepa. The town plot has been rediscovered recently through archeological research conducted by Dr. Benjamin Pykles of SUNY Potsdam. The historic markers relate an obviously sanitized, edited version of the former town’s history. If we were to believe the officially presented rhetoric, the story is cut and dry: living in a tropical paradise, a group of LDS Hawaiian converts chose to come to Utah to establish their own town in one of the most remote, inhospitable regions in the West Desert. They worked hard, many died, but they persevered and survived, and in 1911 the town won an award as “the most progressive city in Utah.” Then mysteriously, six years later, they all decided to return to Hawaii to help build the first Mormon temple in La’ie and they all lived happily ever after. The End. The simplicity of the story and the obvious defects in the logic of the memorials prompt more questions than answers. A basic search online of the questions regarding Iosepa yields the research of two scholars with links to the LDS Church. Dr. Benjamin Pykles has spent four years researching Iosepa. In 2008 and 2010 he conducted archaeological digs to uncover the town’s initial plot and streets, discover how the residents lived and study the remains of their disposed trash. BYU’s Assistant Professor of History & University Archivist J. Mathew Kester wrote his dissertation on Iosepa, recounting the severity of the bigamy and prejudice of the era. To be clear, bigotry was by no means exclusive to Latter Day Saints, but to Westerners as a whole. Their findings paint a larger, more vibrant picture of the West, depicting the inter-connectedness of the western United States and the Polynesian Islands where Mormon missionaries began appearing as early as 1850. In Hawaii, missionaries found ready converts with a strong desire to emigrate to the “New Zion” at the base of the Rocky Mountains. At the time, however, Hawaiians were banned from leaving what was then called the “Sandwich Islands” by their King Kalākaua. By the mid 1800s the ban had been lifted, but unfortunately the popular perception of Hawaiians was that they were promiscuous sinners, afflicted by the “devil’s disease,” leprosy, an illness no Hawaiian had ever contracted before the 1830s when it likely had been introduced by Chinese immigrants. Assumptions about various dark-skinned foreigners were accepted based on religious, pseudo-scientific precepts and media portrayals. The Deseret News and The Salt Lake Tribune published insidious invectives, informing readers of the horrors of leprosy and making Islanders out to be mostly frightening, dark-skinned, leprous adulterers and savages adapted to the gentile climate of leisure and tropical fruits, and ill-suited to hard work in the harsh climate of the western U.S. Each immigrant group new to the West occupied a particular rung on the elaborate social ladder. Pacific Islanders found themselves at the very bottom rung, categorized with runaway slaves, and scrutinized even more closely. As a result, most Pacific Island converts had a very difficult time finding work or fully assimilating. Some found jobs working on the railroad or on the Salt Lake City LDS Temple, but most were required to live separately from the whites in their own neighborhoods and enclaves. This wasn’t uncommon. 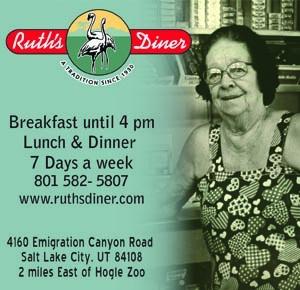 Salt Lake City had areas like Greek Town, China Town, Japan Town, Swede Town, and various neighborhoods defined by religion, ethnicity and wealth. Many Polynesians found homes in the Warm Springs area of North Salt Lake City. 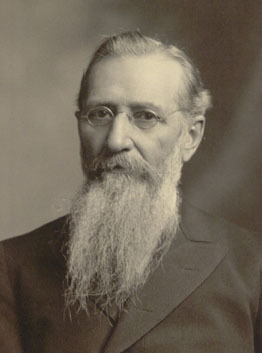 Joseph F. Smith served his mission in Hawaii (then known as the Sandwich Islands). He developed a close kinship with the Pacific Islanders and corresponded with them in their native language. Some believe the town of Iosepa was abandoned because Smith believed after his death that nobody would care to look after them. trials. But, from this limited correspondence found in the LDS Church History Museum, we can conclude very little. All of Joseph F. Smith’s papers and correspondence with Iosepa have been preserved, but they are maintained under a secured status. 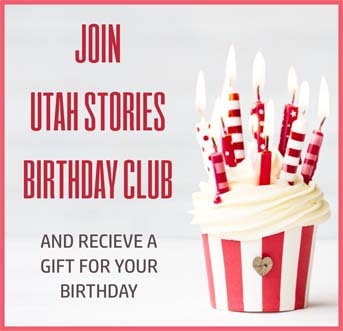 Utah Stories has applied for access to these papers, but the form indicates it could take weeks or months before the committee determines if our purposes are legitimate or worthy of access. The letters begin to reveal the somewhat awkward relationship between the First Presidency of the LDS Church and the Pacific Islanders who professed faith in their religion but who were excluded from practicing it as their mentors or missionaries did. Hundreds of small Mormon towns were settled in the first 50 years after pioneers came to Salt Lake City, and their creation followed a customary, church-prescribed protocol. Iosepa’s social structure, however, did not exemplify the template common to the usual town-forming practices of the day. At that time in church history Pacific Islanders could not hold the Priesthood so they couldn’t conduct their own services. Instead, missionaries were sent to Iosepa, where they treated the area very much like a mission they were serving on any of the Hawaiian islands. Considering the lack of medicine, food, blankets and housing, Iosepa was an extremely difficult place for the Hawaiian pioneers to live. In addition, they didn’t have the regular means of communication through the ranks of the LDS clergy to report problems, nor did they have access to the regular provisions other members had access to. But, like many pioneer stories, the determination of the Iosepa Pacific Islanders eventually paid off and their town began producing crops and livestock. 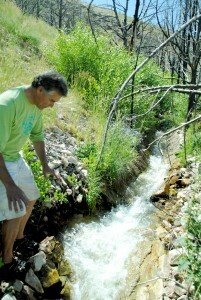 While there are very limited documents or ledgers indicating if the town was economically viable, by 1911 the town was voted “the most progressive city in Utah.” By this time culinary water had been collected from mountain springs and irrigated through cement pipelines to homes. Fire hydrants were installed and more Hawaiians were adapting and building permanent homes. Also by 1911, babies had been born and there were teenage children who knew Iosepa as their only home, having only heard stories about the remote islands from where they came. Drawings on cave walls above the town depict giant sea turtles and whales. This area is believed to have been used like a classroom teaching children about the sea creatures from an ocean they had never seen. Just six years after Iosepa was showing such promise and beautification, all the residents were asked to leave. Then, President and longtime patriarch to the Pacific Islanders, Joseph F. Smith, told them they must vacate and return to Hawaii to help build the Temple in La’ie. The town’s 35,000 acres were subsequently sold by the church and all the homes, miles of irrigation canals, farms, animals and everything the Pacific Islanders built was abandoned and left to waste. Detailed records and ledgers remain in church archives under a sealed status. Utah Stories has requested access to these personal records of Joseph F. Smith and the church has declined to allow Utah Stories and other historians to gain access to answer the simple question of why? According to previous scholars Iosepa was costing the church more money than they were gaining. That for years Iospea had proven, a poor investment. But this claim runs contrary to the prior awards the town received for beautification and the ingenuity and vast network of irrigation canals that can still be seen today. Nearly all of the foundations of former homes in Iosepa have been dug up and buried in a pile of rubble by area ranchers. An Attempt To Destroy History? Today Iosepa is partially BLM Land and partially owned Ensign Ranches. There is a sticky situation between Hoopiiania and the spokesperson for Ensign named Chris Robinson. They have conflicting visions for the best use for the land today. Cory Hoopiiaina would like to see Iosepa return as a Hawaiian town, he says he know several families who would move there and begin farming if this were possible. Rancher Robinson would prefer that the land remain for his cattle and he doesn’t see the potential for another town or permanent housing. Attempts to preserve Iosepa and the remains of the town have proven difficult. Over the years foundations of the former homes in Iosepa have been dug up and set in piles and buried. 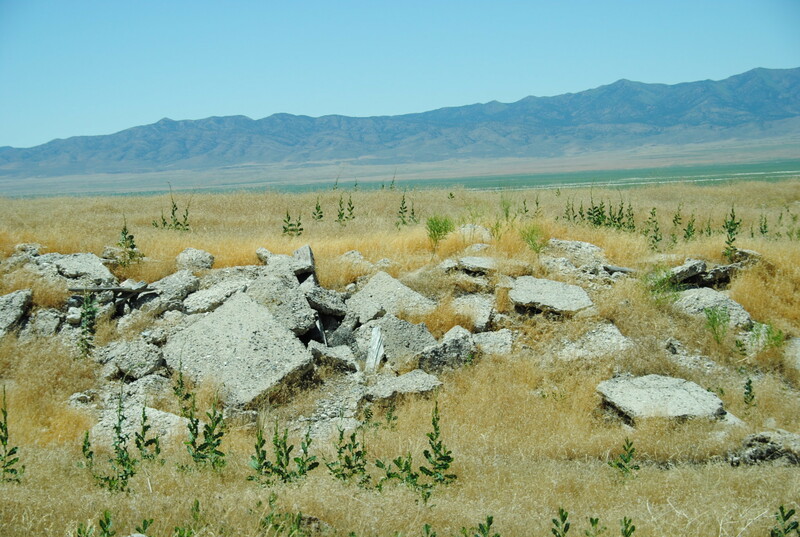 Archaeologist Benjamin Pykles confirmed that Ensign Ranches demolished one of the last standing ranch barns, despite his pleas to not do so. Hoopiiania claims that Robinson’s wish is to remove all indications that the town of Iosepa was once here — A claim that Robinson strongly denies. Hoopiiaina expressed his desire for the LDS Church to acquire the land and donate it to the people who settled the area with their blood, sweat and tears: The LDS Pacific Islanders. Hoopiiaina took me on a tour on a four-wheeler showing me the remnants of the former saw mill. He showed me the remarkable Kanaka Lake, which his ancestors dug out by hand, then stocked with fish. 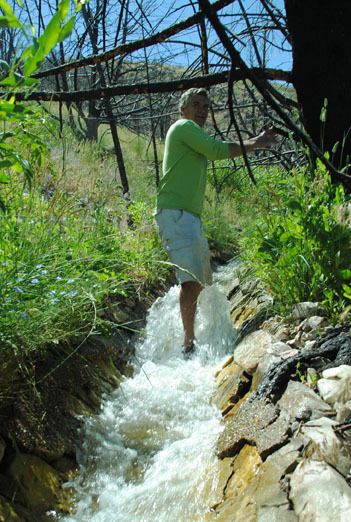 He showed me the miles of irrigation canals that provided an abundance of water to orchards, fields and animals. The point of the tour was to prove a point: that the popular story of Iosepa is that the town was a economic disaster and a failure–which is the reason the church provides for why they told the settlers to vacate — is false. Ledgers and records could provide these answers clearly, but none have been disclosed nor released by the LDS Church Library.Utah Stories has The LDS Church has recently denied Utah Stories’ request to examine the papers of Joseph F. Smith, which could provide definitive answers as to whether or not Iosepa was a causing an economic loss to the church. I believe that the success of Ensign Ranches in using many of the irrigation canals that were formerly used by the Iosepians– is proof that the Skull Valley and Iosepa had great agricultural potential and that indeed the Hawaiian Pioneers who settled there were very industrious, hard working people who made the land viable.